The graph ranks the teams of the National Football League according to the Fan Cost Index. 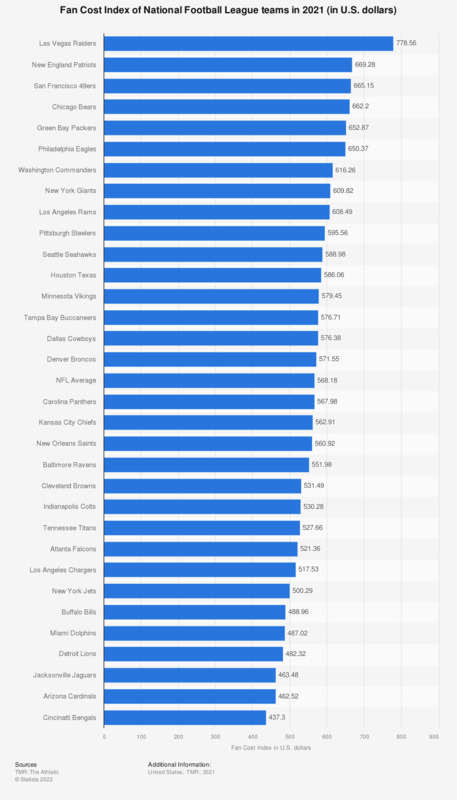 The Fan Cost Index, which strives to calculate the cost of taking a family to an NFL game, of the Baltimore Ravens was 574.44 U.S. dollars in 2018. The NFL average is at 536.04 U.S. dollars. ** Prices for the Los Angeles Rams new stadium will be updated shortly. Statistics on "New England Patriots"
How do you follow Formula 1?